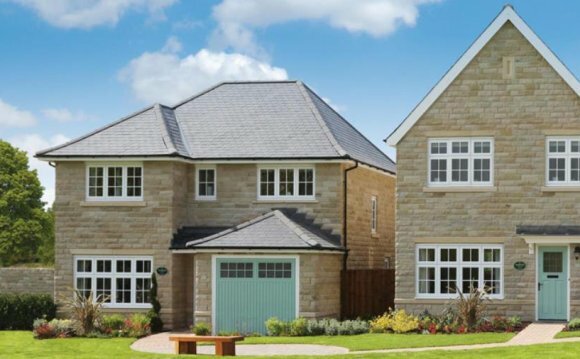 Redrow have a range of new homes in Yorkshire to offer every kind of buyer. We have chosen this beautiful county as the site of new builds in various shapes and sizes, with homes on offer for every stage of life, from couples young or old to large families with children. Our developments compliment the surroundings perfectly, combining a fantastic mix of rural, town and city living to suit a variety of lifestyles. Yorkshire is a truly wonderful part of England, only half-jokingly referred to by the locals as 'God's Own County'. In 2014, the prestigious Lonely Planet travel guide placed Yorkshire third in its list of the top 10 regions to visit around the world. The county boasts plenty of attractions, from the famous rugged rural beauty of the moors to the busy yet beautiful city of York. Redrow know that location is vital when it comes to choosing a place to live. All of our new homes in Yorkshire benefit from a location that has been carefully handpicked. Many of our property developments are located in quieter areas, either in rural towns or on the outskirts of cities. This enables them to frequently take advantage of the rural beauty of the county. But the region's major urban centres are often close at hand, and our homes are invariably located close to rail and public transport links. This makes it easy for you to travel from your quiet spot in the country to the places where the action is, often within minutes. Our many new homes in Yorkshire encompass developments of every type and size. Whether you are a young couple, a growing family, or looking for a pleasant retirement home we have the home to suit you. Explore and browse our site for our extensive range of properties, or get in touch for help finding your perfect new house in Yorkshire.